How many of you give out a plate of cookies at Christmas? HaHa!! I knew it – lots of you!!! Me too! This year, let’s throw away those paper plates and plastic wrap and give cookies away in this! I was able to fit a dozen cookies in this box – the dimensions are 2 3/4″ x 6 1/2″ x 2 3/4″ . 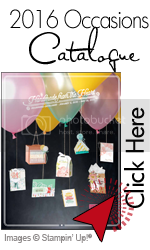 Stamp a 12″x 12″piece of cardstock as desired. I used Bravo Burgundy, Bells & Boughs stamp set and shimmer paint. Score one side at 2 3/4″ and 9 1/4″; turn cardstock 90 degrees and score at 2 3/4″, 5 1/2″, 8 1/4″, and 11″. Cut off the two un-neccessary thin ends. Cut on all horizontal score lines up to intersecting score lines – this creates your side ends. Round all 4 lid corners. Create a 2 1/2″x 4 3/8″ rectrangular template; lay template on box top and trace; cut out with paper cutter. Cut a piece of acetate sheet to 3 1/2″x 5 1/2″ and adhere to inside of box covering the window. Fold on all score lines folding the acetate sheet as you go. Apply double-sided tape to the last two tabs on each end as shown in photo above. Fold up box starting at far end and finished at box lid. Fold lid into box with tabs on the inside. Decorate as desired…then send me a link or photo of your creation- I want to see!!! Oh, those cookies look De-lish! and we need some cookies for the box, so how about sharing the recipe????? Love the box, I wish I was still doing cookie exchanges so I could wow them with this. ONG! I love this box. When I was laying in bed last night reading my emails I read yours and knew I had to get up right away and make one. so simple but yet so elegant. Thanks for sharing. Go to my blogspot and check out the photos I posted. Thanks again. This is just wonderful! Thanks for sharing your idea. Natasha, what a wonderful box! Love it!! Thanks so much for sharing the directions, I can hardly wait to make one!! I love this box! Thanks for sharing! You posted another example on SCS, where you cut the opening in the lid with a Nestie, I think… How did you manage that? Great box! Thanks for the tutorial! I’ll have to add this to my file of things to make, LOL! This box is amazing! I can’t wait to bust some out for neighbor gifts this year. I have been looking for the perfect box, and now, I’ve found it! You’re a dream for sharing. SCS? I love the opening and this could be adopted for anyting loved the colors of that one. A BIG thank you for sharing this idea. Awesome idea! I’m going to have to try this! Thank you! I love this box tutorial! I made up a bunch of these to gift our cookies to the neighbors this year. I also made a smaller version for favor boxes for our cookie party. Thanks so much for the tutorial! Your pictures are fabulous and the instructions are clear and easy! What a great idea! I’ve bookmarked this for next year! Loved these boxes so much that I couldn’t wait to make them this year. Love to share as they turned out great! I am featuring this box and linking back to your site on 2/4/2011, as part of my CHOCOLATE COVERED FEBRUARY event. What a totally awesome cookie box and tutorial!! It is perfect since we just came out with our own cookie stamps!! I will be featuring this tutorial on My Crafty Picks #37 with a link back to your blog on 10-9-11. 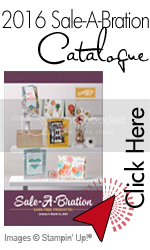 Make sure to stop by my blog to check out all the picks and to pick up your blog badge to display on your blog for being featured!! Thanks! Going to try this right now for my cookie exchange that is tomorrow! I love this box, it is so easy to make. Plan to use it at different holiday times this year. It was a big hit with my grown children on Valentine’s Day! So cute! Where do you find acetate? I totally want to make some of these! Hello! I’m so happy you want to make a few cookie boxes! Acetate sheets are also known as transparency sheets and can be found at most office supply stores. Good luck! !